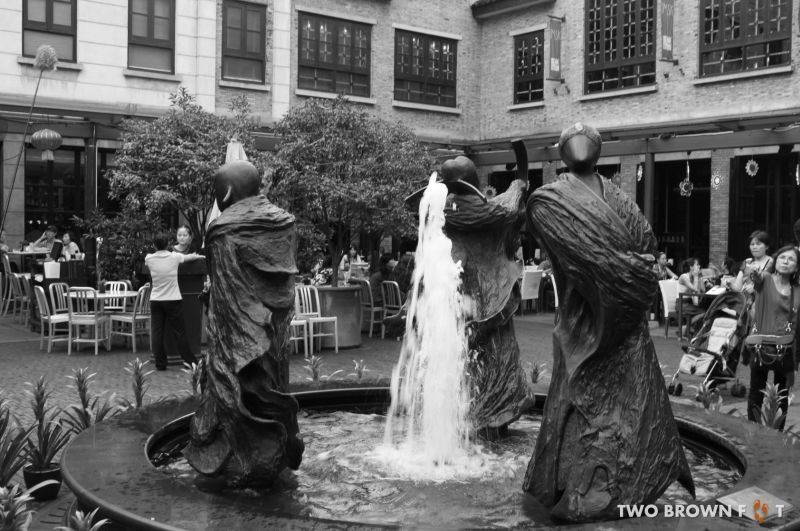 The Fountain of Blessings – Xintiandi, Shanghai. There’s little in common between the east and west. And yet, it’s possible to bridge the gap between the two sides of the globe – through art. Dutch Chinese sculptress, Wu Ching-ju, manages to amalgamate western concepts with ancient Chinese beliefs in her creation, ‘The Fountain of Blessings’, also known as the ‘Fulushou’ figures. According to Taoist beliefs, Fu Star (planet Jupiter) represents the God of Good Fortune, Lu Star (Ursa Major) depicts the God of Prosperity, and Shou Star (Argo Navis) – the God of Longevity. The wishing fountain and three symbols of good luck come together, to symbolise, a modern representation of two diverse cultures across the globe. And maybe, a changing Shanghai.